I teach Russian diction for singers as well as appreciation of Russian art and folk music and literacy. I also have great experience in teaching Russian to kids using textbooks and materials approved in schools in Russia. Olga delivers an exceptional lesson experience and ranks in the top 15% of our teachers nationwide. Voice teacher, vocal coach, Russian diction coach, professional development. Duet of Prilepa and Milovzor from Queen of Spades. The lesson was very helpful! I look forward to more! Too early to tell how it will go. Olga is a kind, patient instructor. We are glad to have her as our singing teacher. Olga transformed my technique completely! She's got a lot of experience and knows exactly how to help me find the right technique using various ways to explain, such as the physical and physiological side, as well as more imaginative and creative explanations that I could easily relate to. I enjoyed the lessons very much because I felt I was achieving something new every lesson. Will definitely take more lessons with Olga in the future! Olga is an incredible teacher: encouraging, friendly and professional. I enjoy my lessons with her. Olga has been teaching my daughter since December 2015. I asked my daughter what she thought of her teacher and she said she liked her a lot because Olga believes in her. Olga seems to know what music fits the personality of my daughter. I am so glad we found her. Olga is very motivational and inspirational! Olga is very serious about music and let 's you know how passionate she is toward being a great teacher for you. I feel she is dedicated to music and has lifted me up to do my best ! Thank you for this great opportunity !! Olga is a very experienced and knowledgeable teacher. I always enjoyed her lessons, and saw real and quick changes of my voice. The progress was obvious, and I would highly recommend this voice teacher to anyone. Olga is an amazing teacher. Due to her great efforts, my daughter's voice has improved tremendously. She is a very passionate teacher who truly cares about the success of her students. She has a deep expertise in voice-training that she is able to clearly communicate to her students. We are fortunate to have her as our voice teacher. Olga is an amazing teacher. She is able to bring out the best in my daughter. I've seen my daughter blossom into a melodious singer. 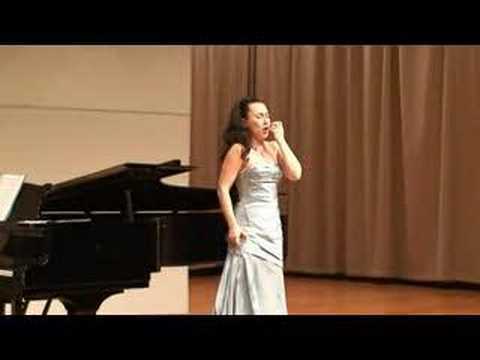 I knew she always had a very loud voice but to hear her sing opera style using the right skills was just amazing! My daughter also has started truly enjoying her vocal training and I attribute that to Olga's dedication and teaching capabilities. I would highly recommend Olga as a teacher who can transform you or your child into an exceptional singer. My daughter has been taking lessons with Olga for a year and a half now. She absolutely adores Olga. She is positive and clearly loves working with children. 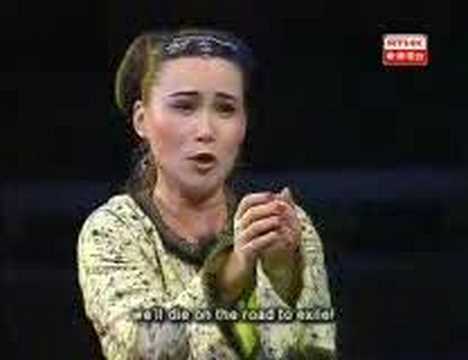 Olga is an opera singer and knows how to teach children: be it songs from musicals, opera or Taylor Swift. My daughters voice and confidence has grown tremendously since she started taking lessons with Olga. I highly recommend her as a voice teacher. Olga is amazing! Very patient and really gives you the tools to practice techniques on your own as well as tips for long term success. I'm so glad finding Ms. Olga from TAKELESSONS. She is not only a great singer,but also she knows how to pass her talent to her students. The way she teaches is very practical. Her traching method is individualized. After I only took one lesson, I already got idea how to overcoming my problems. She shows me exactly how my voice works, and how to work with each muscle group in my voice to get amazing result. I definitely continue to take lessons from her. Love Olga's teaching style. While she focused on fundamentals and techniques, she made it fun and easy to understand for my 6 1/2 year old. She introduced an engaging and age-appropriate song for my little one during the first lesson and my girl couldn't stop singing it on our whole way home! Very much looking forward to more future lessons! Olga is a great teacher and an experienced professional. She have been teaching my daughter last two years. I can say that it was enjoyable and worthwhile experience. I think she is kind of teacher who is in the talent-finding and talent-development business. She helped my daughter to come out of her shell and gain more confidence.